Manchester United must still be basking in the glory of their 3-1 victory over Arsenal at the Emirates in the FA Cup. Ole Gunnar Solskjaer fielded a different side than the one he usually prefers, with Anthony Martial and Marcus Rashford starting the game on the bench. This worked out much better than expected, as their replacement starters Alexis Sanchez and Romelu Lukaku effectively won the game for the Red Devils in the first-half itself, the Chilean opening the scoring and the Belgian functioning as a playmaker and creating two goals. Rashford and Martial did come on later, with the latter scoring the winner and the prolific Englishman having a role to play in the victory. However, the Mancunian youngster went viral for his antics even before the game kicked off. During the warm-up prior to the encounter, a video caught a few United players training in a rondo. In that encounter, Rashford destroyed Fred with a beautiful nutmeg – a move that their fellow teammates responded to by dispersing in disbelief. Rashford wasted no time in posting that clip on Instagram, and in doing so, he received a comment from a familiar face. Memphis Depay commented on the video, going as far as to remind Phil Jones of a similar nutmeg incident from during their time at Old Trafford. Clearly, the cheekiness has not left the Dutchman, who has improved tremendously since his horrid spell with the Mancunian giants. In fact, with United’s buy-back clause still intact, fans have been strongly urging the club to re-sign their former no.7 from Lyon. Still young, Depay may now be better equipped to take on the Premier League challenge. 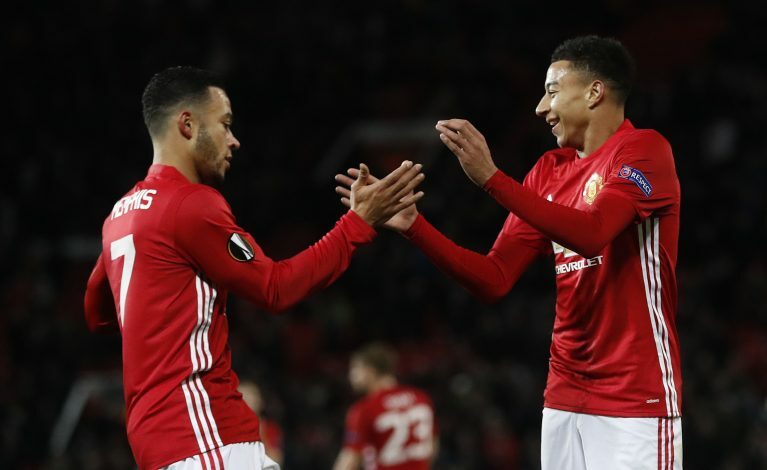 Besides, if Ole Gunnar Solskjaer is still at the helm of the club, then Depay could certainly be the kind of talent he’ll enjoy in his attacking trident.